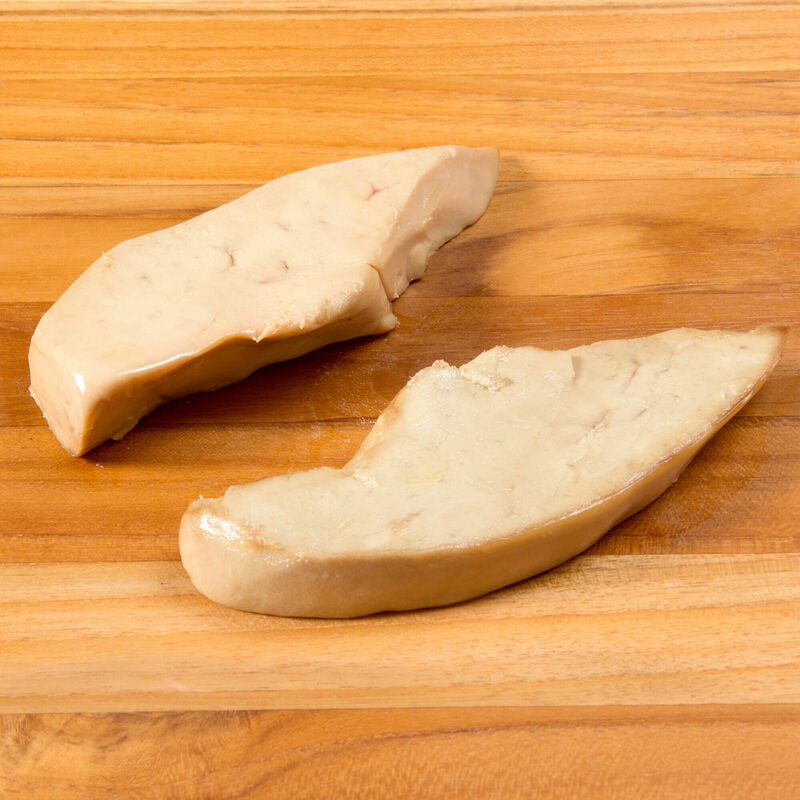 Our Grade-A foie gras comes from Moulard ducks, raised in low-stress open barns on a farm in New York State, recognized as a premier producer of high-quality foie gras. The ducks are never caged, and no antibiotics or hormones are administered. These conveniently portioned, raw foie gras slices are cut from our Grade-A duck foie gras—a favorite among our chef clientele for its naturally sweet taste and silky texture. Our foie gras is produced from Moulard ducks raised in a low-stress environment on 200 acres in the lush valley formed by the Hudson River of New York State. The ducks are never caged; instead they live in deeply bedded open-air barns with constant access to drinking water. They have room to stretch, open their wings, and group together, following their natural instincts as flock animals. Throughout their lives, they eat a whole-grain diet of corn and soy. No hormones or antibiotics are ever used. When the hand-feeding process begins, the ducks live in an open pen holding fewer than a dozen birds. They are fed by the same person every day, and every measure is taken to ensure the ducks feel no stress. Our Hudson Valley farm manages all stages of production for superb quality control; they are recognized worldwide as a premier producer of foie gras and Moulard duck products.